Don't fool yourself that the innocent never go to jail. 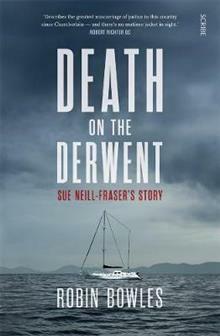 When Bob Chappell disappeared from his yacht, moored in the Derwent Estuary near the Royal Yacht Club of Tasmania's marina, on the night of 26 January 2009, he left behind his pipe and tobacco - something that his partner of 18 years, Sue Neill-Fraser, knew he would never willingly do. What she didn't know was that despite no body, no weapon, no cause of death, and no witnesses, she would soon become the only suspect in Chappell's disappearance. In their haste to wrap up the case, the police charged Neill-Fraser with murder. In her eagerness to assist police, she virtually talked her way into their hands. And after a lengthy trial that resulted in a guilty verdict, the judge delivered Neill-Fraser a crushing 26-year sentence. But was the verdict unsafe? Many of Australia's leading legal minds have said her conviction is `the greatest miscarriage of justice since Lindy Chamberlain'. Other reasonable hypotheses have been mooted about what might have happened in the dark on the Derwent that night. The Tasmanian government has changed its laws to give Neill-Fraser one last crack at proving her innocence, because that is what it's come to now - proving her innocence. The result of years of investigation, and based on extensive interviews with all the key players, including local underworld figures and legal luminaries, Death on the Derwent is a riveting story of justice not served. Robin Bowles is the author of a number of bestselling true crime books, including the definitive books on the Jaidyn Leskie murder, Justice Denied, and the disappearance and alleged murder of British tourist Peter Falconio, Dead Centre. Robin Bowles is the author of a number of bestselling true crime books, including the definitive books on the Jaidyn Leskie murder, Justice Denied, and the disappearance and alleged murder of British tourist Peter Falconio, Dead Centre. Also Published by Scribe are her books Into the Darkness (2016) and Accidental Death (2018). She lives and writes in Melbourne.